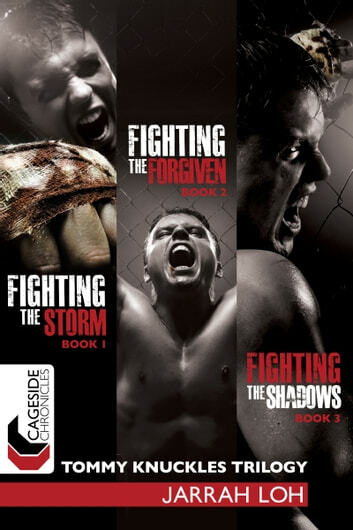 The complete Cageside Chronicles: Tommy Knuckles Trilogy set. The saga begins with the lonely Mexican teenager, Tommy, who has been beaten up his whole life. Just when he thinks nothing will ever change, ghosts emerge from his dead father’s past, and suddenly a different world appears as he learns to fight, in and out of the cage. His new life will take him across the border to the homeland of his father, and into the famed cages of Las Vegas. Tommy will meet a whole host of characters as he searches for an identity of his own and an illusive freedom that beckons. Pride, love and adventure await as Tommy struggles against new inner demons, and rivals of a lifetime.